The basis of acupuncture lies in the theory that all illness is a result of an imbalance of energy or Qi in the body. This imbalance affects the general circulation in nerve pathways and blood vessels. Acupuncture rebalances the body and thus restores health through the use of hair-fine, sterile, disposable needles that are inserted at specific points along energy channels. By stimulating the body’s natural healing mechanism acupuncture is extremely effective at treating a wide variety of acute and chronic conditions. Some of the most commonly treated conditions include migraines, high blood pressure, arthritis, pregnancy care and management, menstrual and menopausal problems, stress and anxiety, back-ache, tiredness and pain. Because acupuncture looks at the whole person each treatment is specifically tailored to the individual person and their condition. The flexibility of this approach means that acupuncture can be used in a complementary capacity alongside conventional medicine. Traditional Chinese Medicine recognises that our body and its energy levels are affected by diverse factors that can compromise our immune system and sense of well-being. Factors such as weather conditions, seasonal changes, poor circulation, hereditary factors as well as emotional states e.g. fear, anger, sadness and stress can all play their part in disturbing the flow of energy and leave us feeling depleted and unwell. 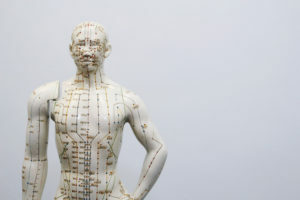 By maintaining the body’s natural balance and promoting a sense of well-being, acupuncture can work on a preventative level by fine-tuning the body so that it functions as effectively as possible and thus help combat the stresses of modern-day living.